Have you ever tried your hand at quilting? Or even just admired the patterns and blocks of quilts? I particularly love vintage quilts made from fabric on-hand. 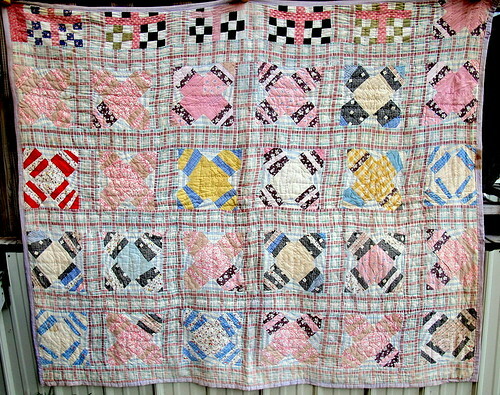 Here’s a favorite of mine found at Vintage Quilt Shop on Flickr. Notice mismatched fabric in some of the blocks. Today we will be approaching our journal page as a quilt, a me-quilt. On the supply list, I asked you to collect small scraps of papers, photos, images, doodles, even colors that you find pleasing. We will incorporate these scraps into our own quilt page today. 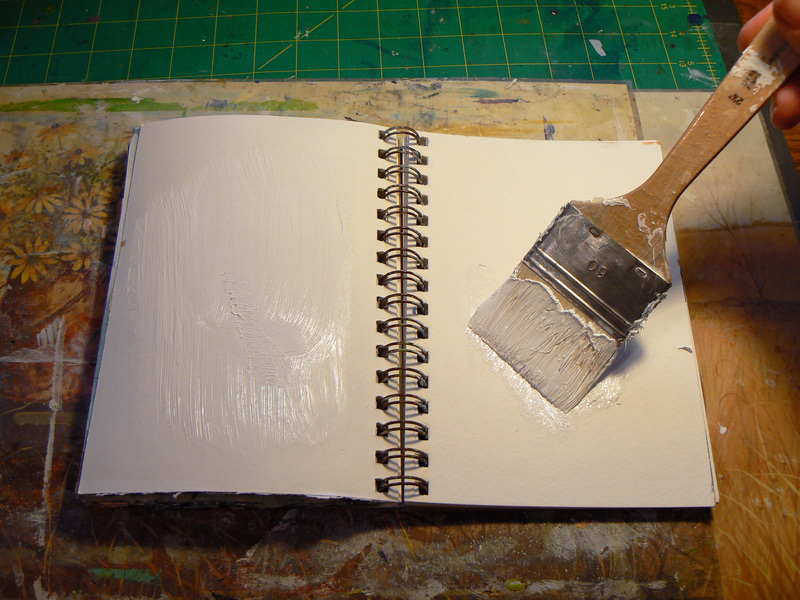 Before you get out your scraps, prep the page with a coat of gesso. 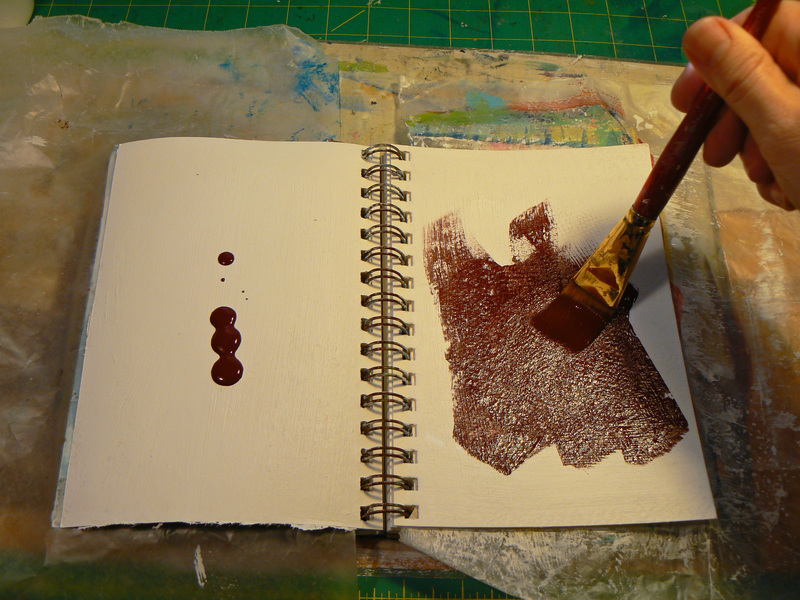 Then squirt several colors of paint on a palette and begin applying random blocks of paint color. 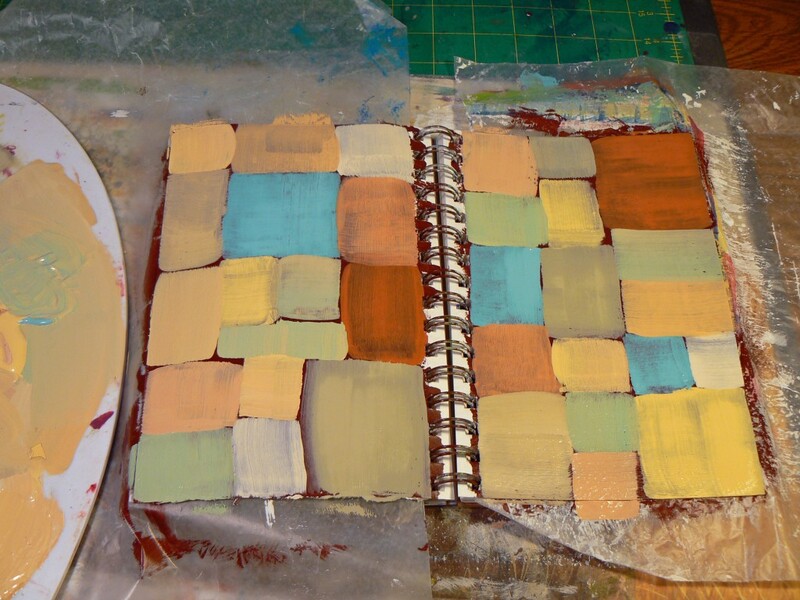 After adding some blocks, if you’d like to try an experiment, mix some of the colors on your palette and add your newly made colors. 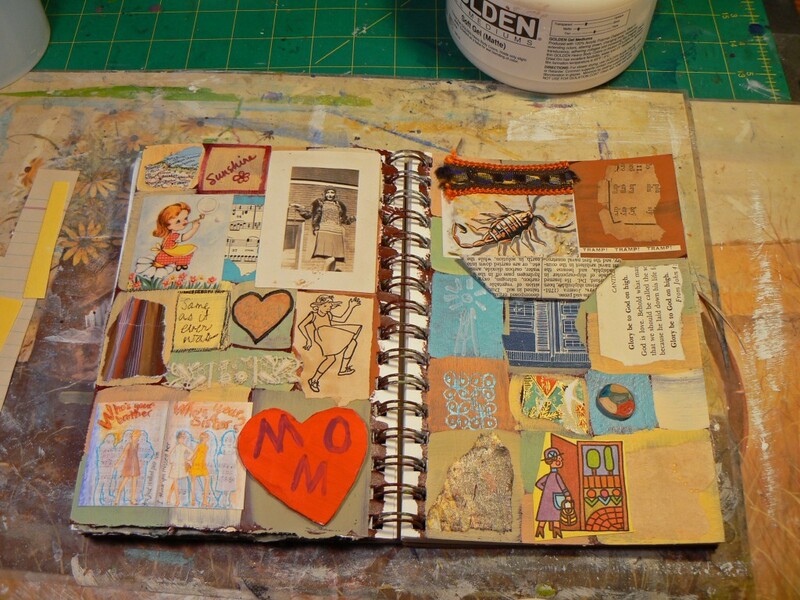 Fill the whole page with blocks, but don’t worry about covering up all the background. Now it’s time to get out your collected scrap pile. 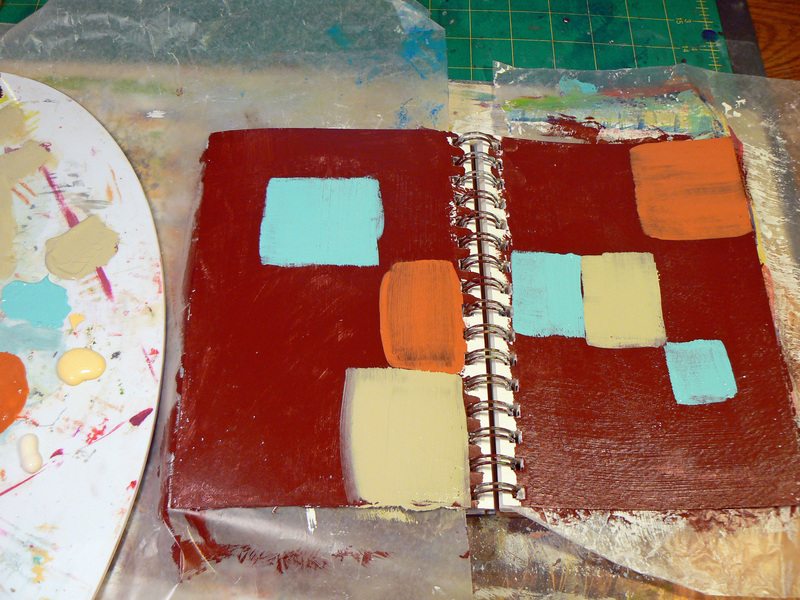 Begin adding scraps to the various blocks of color with your glue of choice. I use soft gel medium. 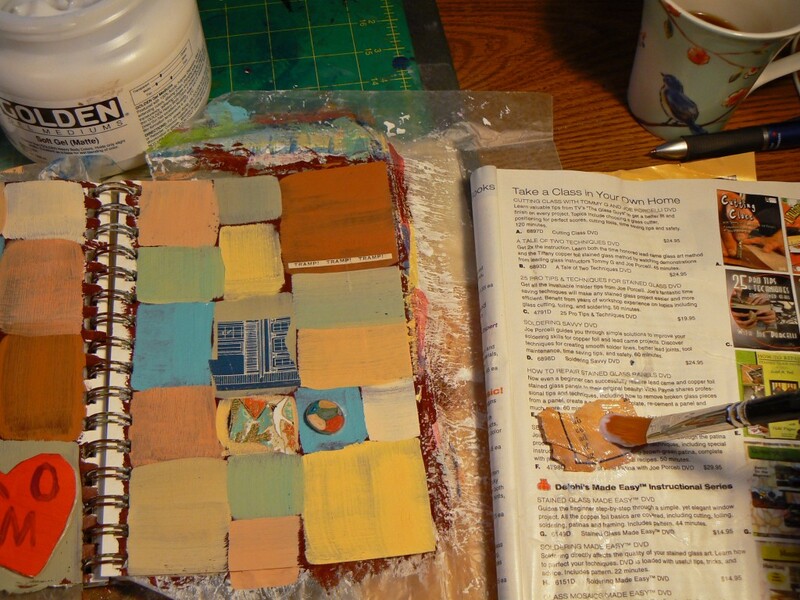 You can use an old catalog as a glue surface, turning the page when it gets to gummy, Don’t worry if your scraps don’t fit perfectly or overlap into other squares. 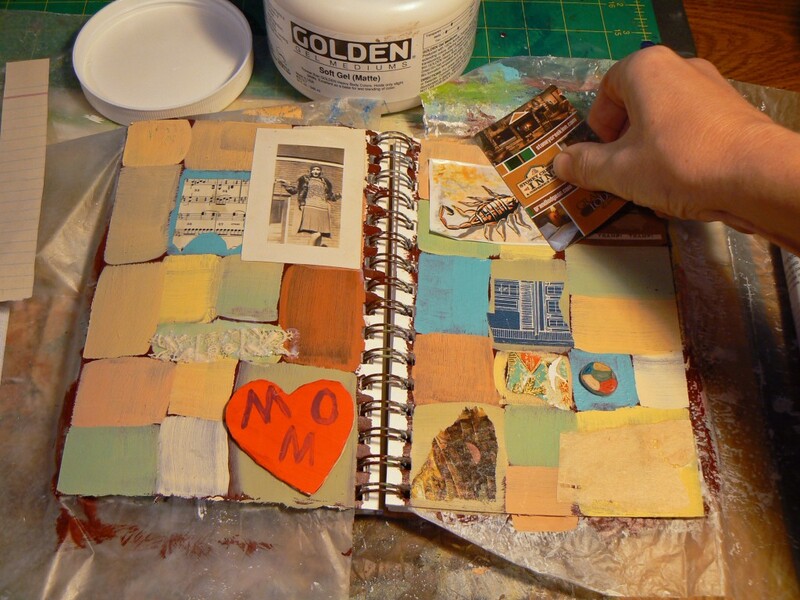 To be sure the scraps are secure on the page with no air bubble trapped underneath, use an old gift or credit card to scrape the paper from the middle outward after putting it on your page. Leave a few boxes for doodles and words. You can use your favorite pens and markers to add to your page. 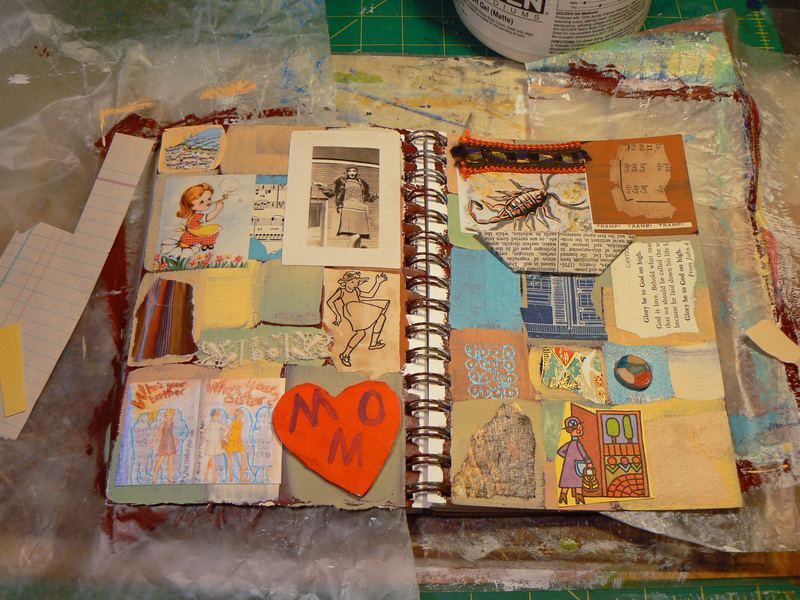 And here is my art journal me-quilt. I may continue in play by adding borders and edges with paint and markers, but will let it rest for a day before I continue.